About Us - The Ilion Little Theatre Club - Ilion, N.Y.
lion Little Theatre has entertained residents of the Mohawk Valley every year since 1924. The founders first met as a private club, rehearsing and performing in the attic of Lucille Worden's home, and then for a time at the Klippel house on Barringer Road. In 1927 the group purchased the building that had served as the carriage house and stables on the Philo Remington estate. 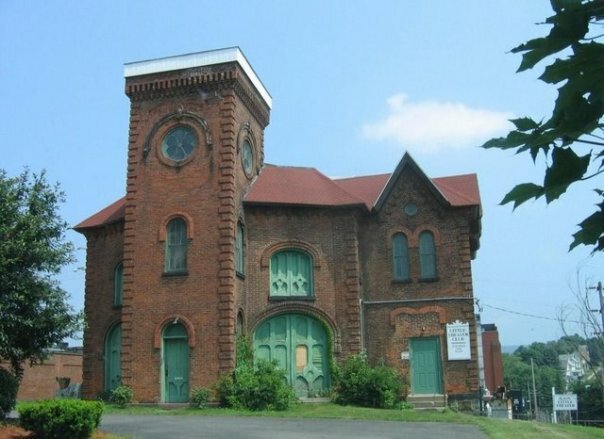 In this historic building, which has come to be referred to simply as "The Stables," they constructed a stage and auditorium which are still in use today, although both have undergone considerable renovation. The building was placed on the national and state historical registries in 1976. The club became incorporated in 1930 as The Little Theatre Club of Ilion, NY, Inc. In 1968 the club's performances were opened to the public through the sale of subscriptions. Today Ilion Little Theatre welcomes all adults who are interested in participating in community theater in any capacity, as either Active Members or Subscribers. The Active Members gather at a dinner meeting each month from September through May, to plan productions and to socialize.